Home » Illinois » Chicago » Beverly Pagoda Martial Arts Academy, Inc.
We are a Pagoda Ryu School and practitioners of the Pagoda Ryu Martial Arts System. The Pagoda Ryu system, founded by Grandmaster Dr. Shorty Mills, PhD, ScD; consists of Tae Kwon Do, Shorin Ryu Karate, Aikido, Kenpo Self-Defense and Grappling. We focus primarily on leadership development, self-defense, sparring, ground-fighting, weapons, and forms. We regularly compete in Karate, Tae Kwon Do, Judo, and Grappling tournaments; but we offer training and instruction for all manner of students, including those who do not wish to compete. 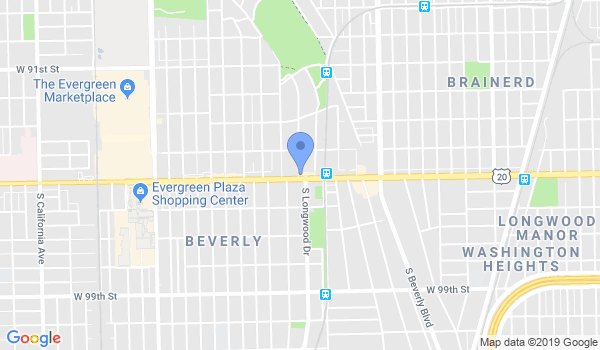 At the Beverly Pagoda Martial Arts Academy, we teach the following Pagoda Ryu classes: Pagoda Ryu Karate, Tae Kwon Do, Shorin Ryu, Self-Defense and Grappling. We also offer instruction in Judo and Kali, taught by qualified instructors. We provide instruction for adults and children (age 6 and over). We also provide an open Martial Arts environment, in which quality, honorable instructors and students are welcome to gain and share knowledge. Would you like more information on hours, classes and programs available at Beverly Pagoda Martial Arts Academy, Inc. ? Please contact the school with your questions. Update the details, Write a Review or Report Error of Beverly Pagoda Martial Arts Academy, Inc. .